Tip: All articles in this site use Visual Studio Express 2012 which is a free edition of Visual Studio products but there are also few others that are worth mentioning such as SharpDevelop or a cross-platform IDE named MonoDevelop. Both of them are open source. This site focuses on Winforms so let's examine Visual Studio IDE after the creation of a new Winform Project. VS will consist of different areas as shown below. Let's examine most important ones. The Solution Explorer helps you manage projects in your solution. Solution is a container for projects and you can have many projects in a solution. Solution Explorer lets you browse and manage those projects and files. Besides the standard commands of copying, editing, renaming and deleting items, you also have other commands available on contextual menu when right-clicking on an item. 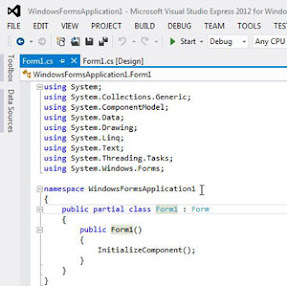 In .NET everything has properties, from controls to classes and even files. When a control is selected in the Designer, the Properties Window will show design-time properties and events of that control which you can view and edit. With Properties Window you can also view /edit properties of project items selected in a Solution Explorer. The property name is shown on the left side and its value is on the right side. Those values range from really simple ones like a String or Boolean, to more complex ones like drop-down lists or even dialog boxes. 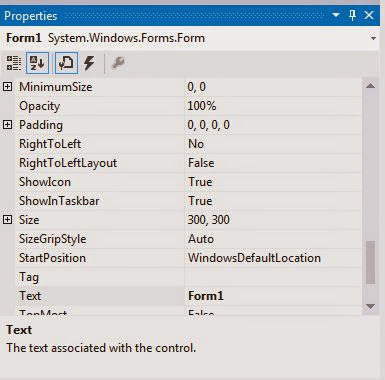 Properties shown in gray are read-only. If you want to explore all available properties and methods of a particular control, use IntelliSense in the Code Editor. What is a property?Properties are similar to fields except that you define Getter and Setter method which can contain code. For example you could add validation code or limit a range of a number in a Setter method. Property also allows you to make it read-only. 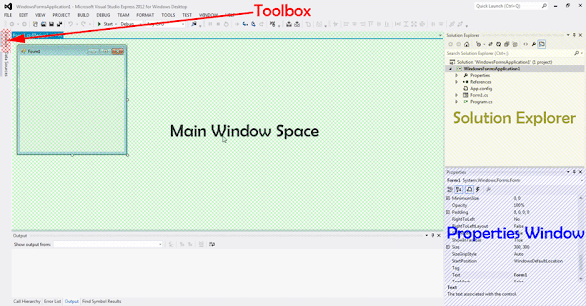 The Toolbox provides a list of available components /controls from which you can add them into the main window when in Designer View. 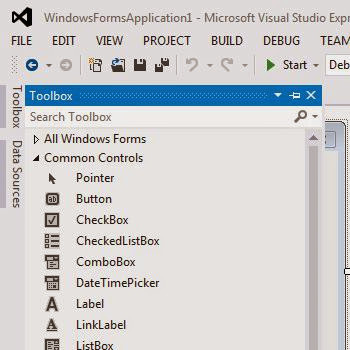 To get a list of all available controls click on Toolbox on the left side of the main window. You add controls to your form by dragging a control to Designer surface. You can also add control by just double clicking on it. After it is added to the Designer, the necessary code to create instance of that control will be generated in the active form (you can find that code in .designer.cs file of the form in InitializeComponent method). 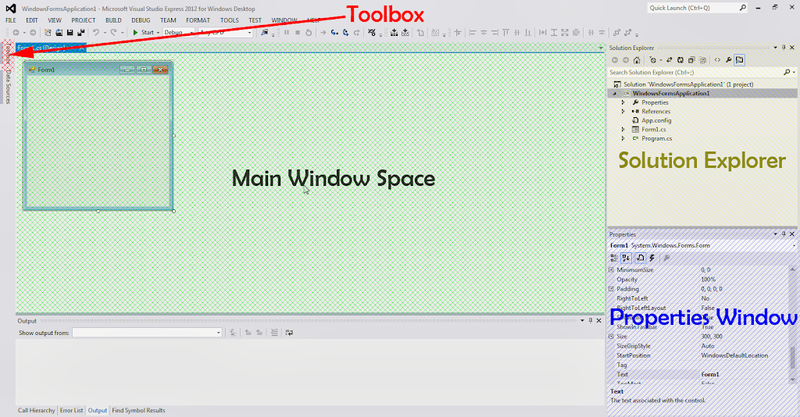 If the Toolbox is empty without any controls, you probably have Code Editor opened in the Main Window, so switch back to Design View. Check the next section on different ways to do that. Note:Some controls are non-visual like OpenFileDialog. Choose Items to change which controls are listed in the Toolbox. This will open up "Choose Toolbox Items" dialog window where you can add and remove controls from the Toolbox. Reset Toolbox to restore Toolbox to default settings. Note: You can also manage Tabs that group listed controls by right-clicking on a Tab. In the above image "All Windows Forms" and "Common Controls" are tabs. This is where you will spend most of the time when developing an application. 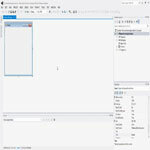 You will write code in the Code Editor and add / rearrange controls to your form in the Designer View. 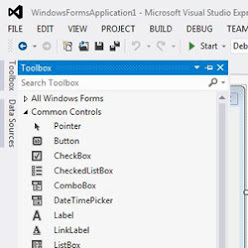 When working in the Designer, you will also use other sections of Visual Studio like Toolbox to drag and drop controls to Designer surface and Properties Windows to modify design-time properties and events of the selected objects. When control is added to the surface, the Designer will automatically generate necessary code (if you have Form named Form1, the code will be located at Form1.Designer.cs in InitializeComponent method). 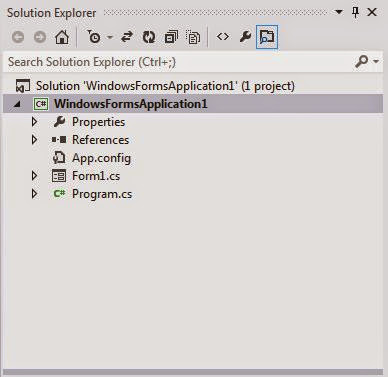 going to Solution Explorer, right-click on Form and select View Code / View Designer from context menu. 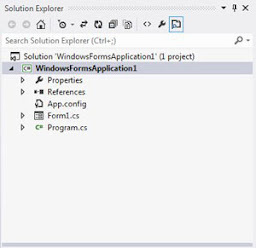 in Solution Explorer you can also expand the Form and inside it you should see three items (Designer.cs, .resx file and form name without extension). 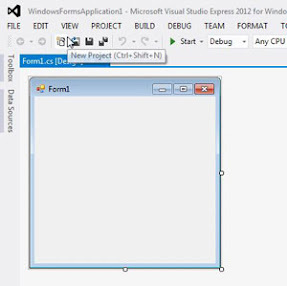 This last item represents the class of the form and by clicking on it you switch to Code Editor. in Solution Explorer double-clicking on the Form will open up the Designer View. 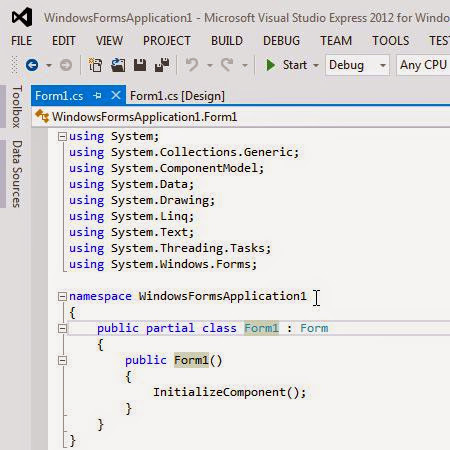 There are many areas of the Visual Studio IDE and we looked into the important ones. In the next article, we are going to examine the files and code generated when creating new Winform project. I hope you have found this article useful. Feel free to drop a comment or share the article on the social networks. Really handy thanks, I've installed Visual Studio before but never known how to use it. I'm familiar with Linux so Visual Studio feels over-assisted by comparison. Never-the-less ... I need to know Visual Studio for my course next month.